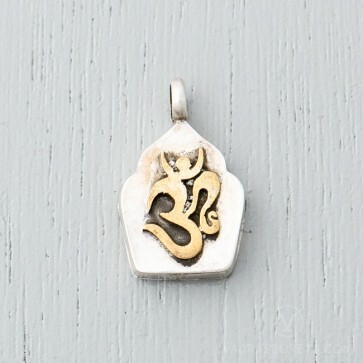 Handcrafted by master Himalayan silversmiths, this delicate sterling silver OM locket is highly recommended for anyone who loves all things simple and rustic. 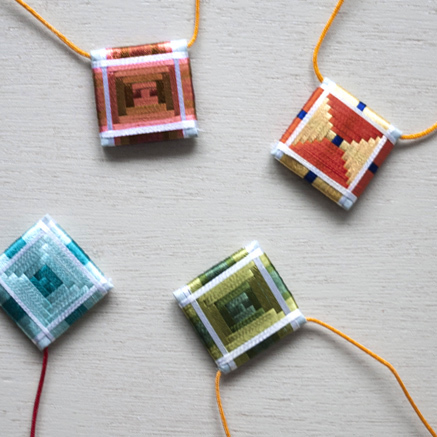 Insert holy items and sacred objects into this miniature gau and bring the tremendous blessings and protection of the Buddhas everywhere you go. 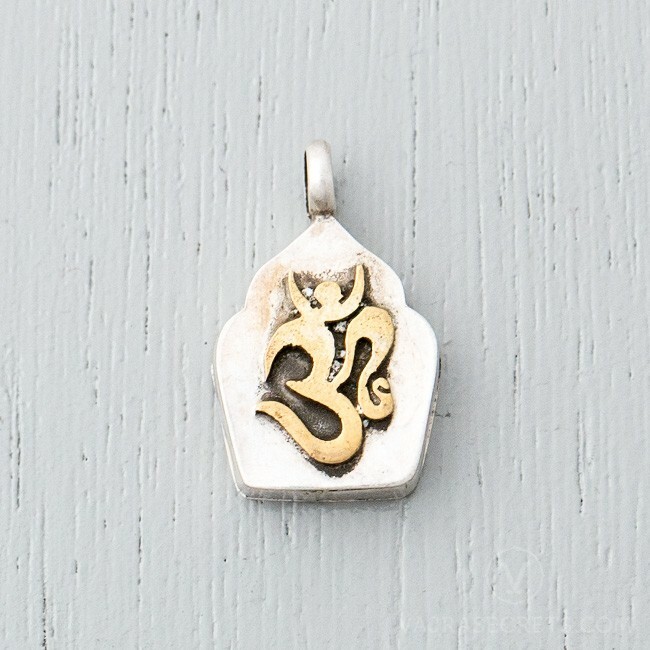 Beautifully crafted by skilled Himalayan artisans from 925 sterling silver, this traditional Tibetan prayer box locket features the syllable “OM” in Sanskrit. The syllable “OM” appears in most sacred mantras and is probably one of the most widely used syllables in Buddhist prayers and meditations. This Sanskrit word actually consists of three pure letters i.e. A, U and M, symbolising our impure body, speech and mind. 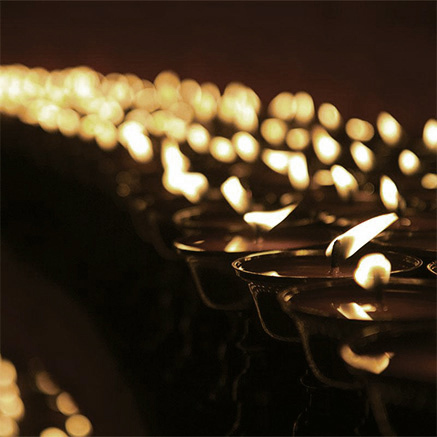 "OM" also represents the pure exalted body, speech and mind of a Buddha. 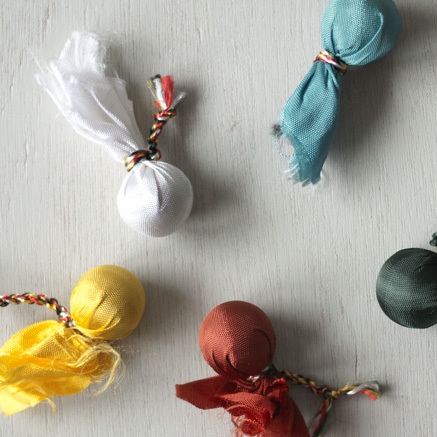 Tibetan Buddhists traditionally use reliquaries to carry sacred objects close to their heart, such as an image of the owner's personal deity wrapped in silk cloth. 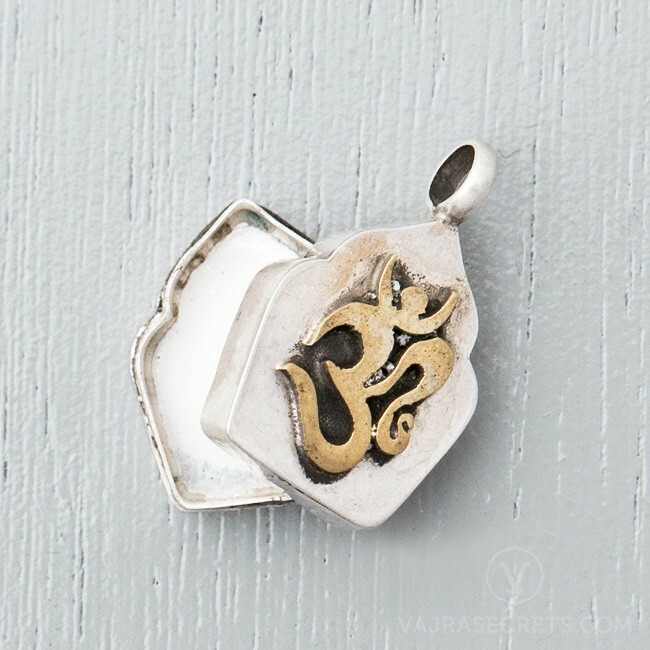 Similarly, this miniature gau locket can be filled with holy items and blessed objects, to bring the blessings and protection of the Buddhas wherever you go. This delicate locket can be paired with a silver chain, leather cord or even a blessed Protector String for additional protection. Also suitable as a charm for a mala or bracelet. Hold the front and back edges of the gau locket firmly and slide the two halves apart. Fill with items of your choice such as relics and blessed objects. Close the gau locket by sliding the friction-fit halves back into place.